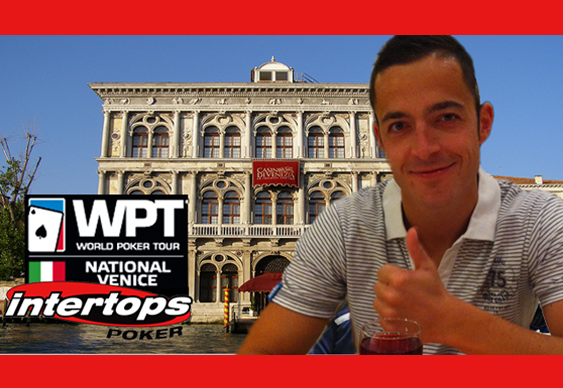 One German amateur will be banging heads with some of European poker's elite performers later this week after bagging a prize package to WPT National Venice from Intertops Poker. The €200k GTD event takes place at the luxurious Casino Venezia from April 17 to 20 and Lukas W will be there after securing a prize package worth $2,000. An Intertops Poker player that recently won an online satellite tournament will play in Italy this weekend. So what advice does Lukas, who plays online as ‘Buck$Bunny’, have for players wanting to emulate his satellite success? “I realised that I might win when we were three-handed,” the civil servant added. “I eliminated one of the opponents in an all-in situation KQ>K7 and won a huge pot. At the heads-up, the other player was crippled and so it was over very quick. Intertops isn't only sending players to Italy. Three other satellite winners are heading to the Caribbean later this month representing Team Intertops at the $200,000 guaranteed CPPT III St Maarten tournament after securing prize packages last weekend each valued at $4,100.